Is camping your thing? Are you happiest in the fresh air, mud under your fingernails, building dens? If so, check out our guide to a resurrected style of camping – and find out how to do it as a family. If you love to camp and your family is seasoned in the art of sleeping under canvas, and going three days without a wash (gets a tick with most kids! ), then wild camping might be for you. Essentially, wild camping means pitching your tent in the countryside, away from official campsites, where there’s no-one but your and yours to enjoy a night under the stars. But more and more landowners are creating their own versions of wild camping, with everything from a basic tent in a field, to duck down duvets in a yurt (in the middle of nowhere!). If you’ve ever tried to spot a shooting star, or a bolting hare, while all around you are doing the same, by the light of their campfires, you’ll know they’re easy to miss. And yet the magic when you do is incredible. Imagine sharing a night sky with only your family for company, far away from city lights, and you’ve got just one of the thrills of wild camping. Camping out with your family brings all sorts of new experiences, and learning opportunities, from spotting wildlife, to foraging for food, and learning to survive Bear Grylls style. 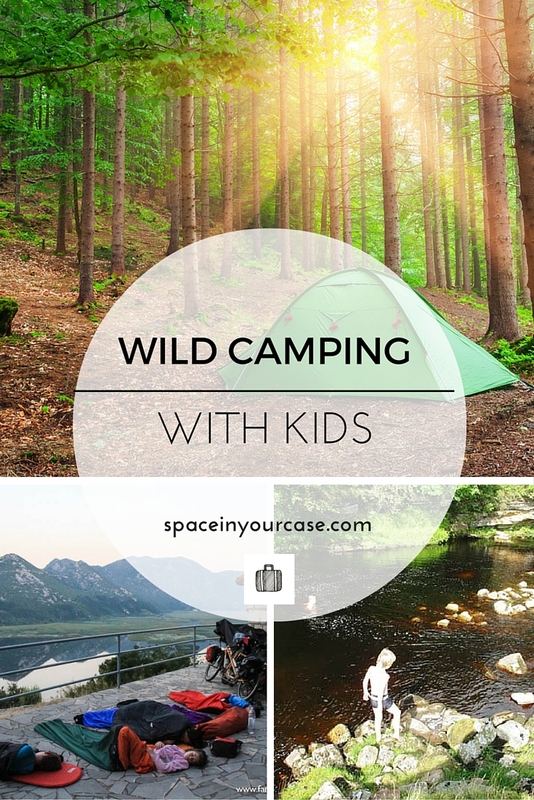 How do I wild camp with kids? Water – it’s important for children to stay hydrated, so if you can’t be sure where you’re going to be able to find water, take plenty with you in water bottles. Warmth – a camping stove, and hot water bottles are going to be essential here, as are fleeces, thermals, and proper sleeping bags. There will be no bolting for the shower block to warm up, so it pays to make sure you have plenty of layers and a good sleeping setup. Camping bed mats insulate, where air beds get cold and take heat from the sleeper. Insects – camp on higher ground, well away from water or marshy areas, which tend to attract mosquitoes. Likewise, make sure before you pitch your tent, that there are no ants nests in the ground underneath. Take all the medical supplies you might need, including creams for bites and stings, and an antihistamine, just in case. Food – keep it basic and go with what you know works. Boil up some pasta or tinned soup, and take plenty of snacks you know the kids will eat. A hot chocolate always goes down well first thing in the morning, so some sachets of instant chocolate, or cartons of flavoured milk are worth taking. Boredom – whilst getting close to nature is a skill all children love to acquire, there will be times when they need entertaining, particularly if the weather isn’t great. Take whatever they like to play (technology excepted! ): card games are easy and fun for the whole family, or miniature versions of board games are great. Take a head torch for everyone for an evening game. Toilets – real wild camping involves making your own toilet arrangements. You’ll have to dig holes, well away from your tent, other property, and water. Make sure you take a torch for nocturnal toilet trips! And don’t forget to take your toilet paper away with you in your rubbish. Wet wipes are a good idea too, and will serve as a basic wash should anyone need one. Alternatively, you could take a bog-in-a-bag with you that has disposable absorbent bags you can put in your bin. Safety – don’t forget about insurance. Wild camping comes with more thrills, but also possibly more risk than a standard camping trip, so make sure your travel insurance is up to date before you go. The Camping and Caravanning Club covers you for specific camping-related items and scenarios. More tips on wild camping. 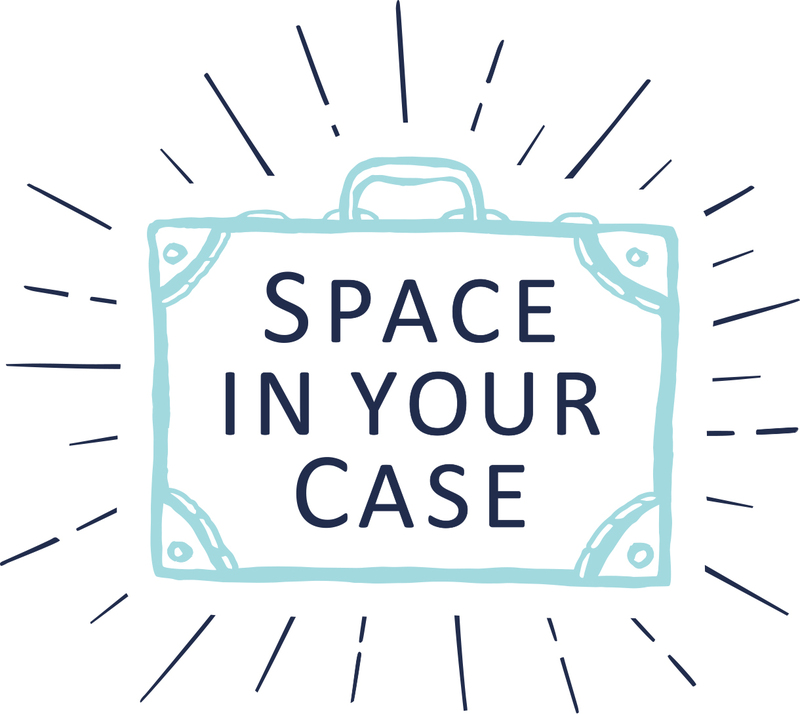 Be considerate – and legal: strictly speaking, all land in England is owned, so even if you find the perfect remote spot, it pays to get permission from landowners before pitching up. Be aware of livestock in neighbouring areas, and don’t light fires without permission. By the same token, make sure you clear up after yourselves, and leave the place as you found it. 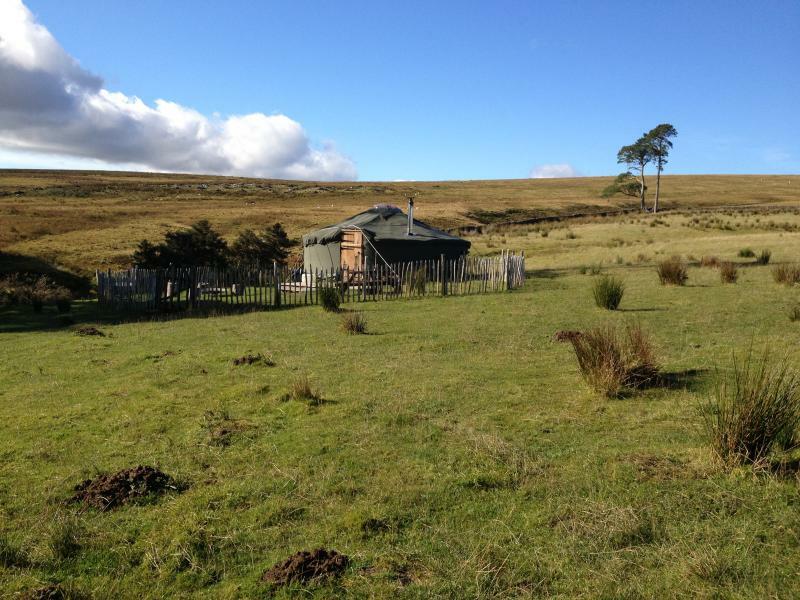 Exceptions are Scotland, and parts of Dartmoor, where wild camping is accepted and even encouraged. There are some more great tips on wild camping on Wanderlust. Wild camping – how to get started. And just look at what they got up to! Go wild in luxury – Wild Northumbrian offers tipis, yurts, and log cabins set amongst thousands of acres of wild fells and meadows. The wild outdoors is right there to experience, but with all the luxury of cosy duvets, wood-burning stoves, and welcome hampers. Be brave! 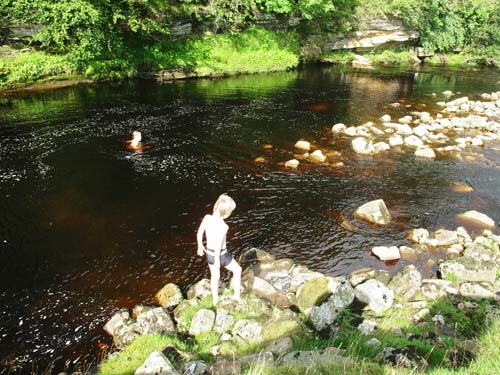 Kirstie says that once you take the plunge, you’ll realise how good wild camping is. We’ve done a lot with the kids as it’s the only option on a long distance bike journey. We are very familiar with sharing a field with cows, sheep, horses etc. Recently got the kids into bivvying which is basically camping without a tent. We all Remember an extraordinary night sleeping in a churchyard in Bosnia a couple of years ago with stars falling from the sky all around us. Wild camping further afield – it’s not just the UK that has camping off the grid. Cerys recommends the Picos de Europa in Spain for walking through gorges, and sleeping under the stars with a campfire; and Suzanne took a 4 hour kayak trip to reach her camping destination in Algonquin, Canada, and has even camped with her son in a township in South Africa. What do you think? Is wild camping on your family’s agenda? Have you tried it already? We’d love to hear from you if you have. 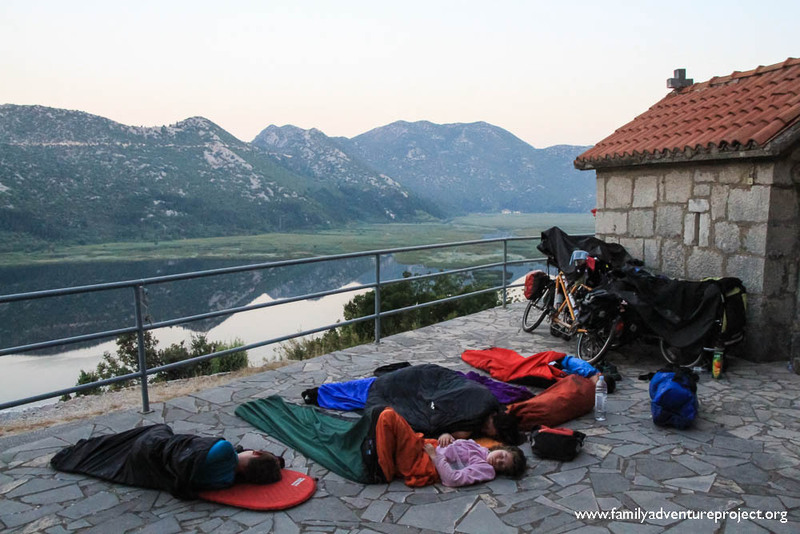 Wild camping across Europe with children. This post has been written in collaboration with the Camping and Caravanning Club. 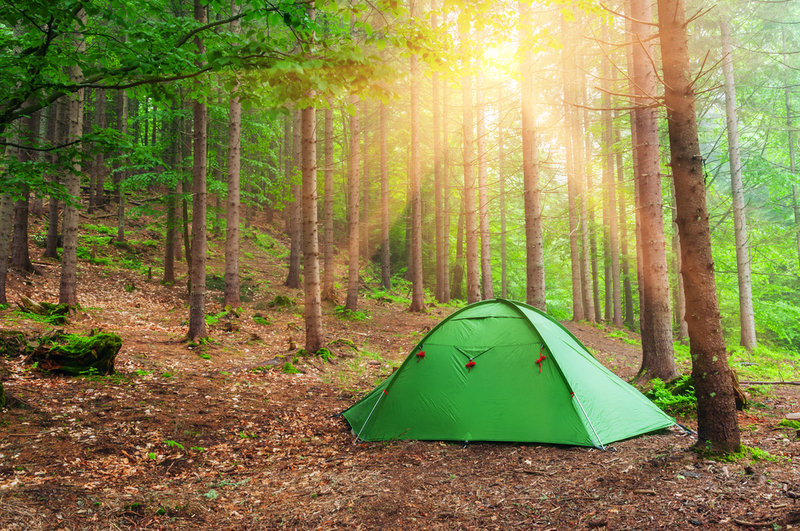 Camping in the woods image from Shutterstock. Kuti are situated in Croatia!